The US-backed Syrian Democratic Forces (SDF) continued to plunder civilians’ properties and assets in Southeastern Hasaka. The SDF embarked again on cracking down people’s residential units in the villages and towns in Southeastern Hasaka, including al-Dashisha, Albu Hasoun, al-Hassan al-Ali and al-Hendisin and looted civilians’ properties and assets. In the meantime, a local sources said that US-led coalition warplanes pounded al-Dashisha and Tal al-Shayer regions in Hasaka, killing and wounding tens of people and forcing hundreds more to leave their region. Meanwhile, the SDF claimed that its militants managed to impose full control over the villages of Jadideh and al-Zibeh in Southeastern Hasaka. 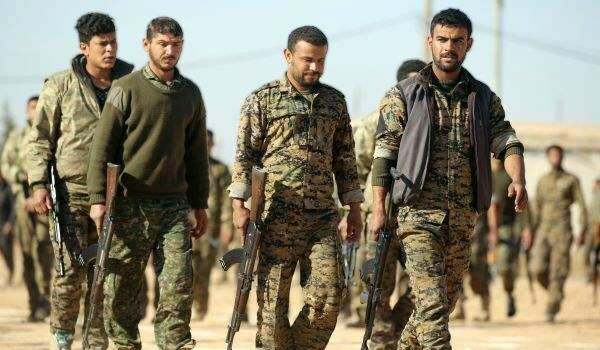 The SDF continued forced recruitment of young men in Southeastern Deir Ezzur and arrested several more in the small town of al-Shahil in Deir Ezzur. In a relevant development on Wednesday, security units of the SDF launched arrests in al-Sabahiyeh neighborhood in the Western part of Raqqa city and managed to capture 11 young men, accusing them of distributing leaflets against the SDF in the city. In the meantime, the SDF continued its forced conscription, recruiting a sum of 30 civilians in al-Mashlab and al-Ramileh neighborhoods in Raqqa city. The SDF put its gunmen on alert after arresting people in Raqqa, fearing public reaction. Meanwhile, SDF units also arrested a large number of young people in the town of Ra’as al-Ein in Northwestern Hasaka to send them to the war front.